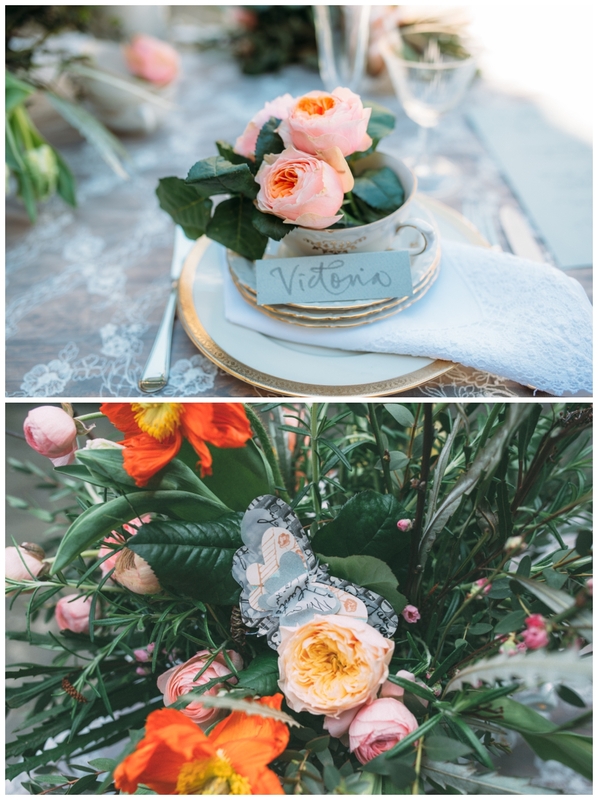 From FunkyBird Photography…On a lovely April spring day we had the privilege to do this inspired bridal shoot. We had been walking around with the idea for a while so we were very exited when we finally made all the arrangements and got everybody on board for this collaboration. The location is one of Tuscany’s pearls. Villa di Maiano is situated just below Fiesole on the outskirts of Florence, Italy and from there you have breathtaking views on the surrounding hills. The staff was just wonderful and we were so lucky to have Alexandra around helping us. 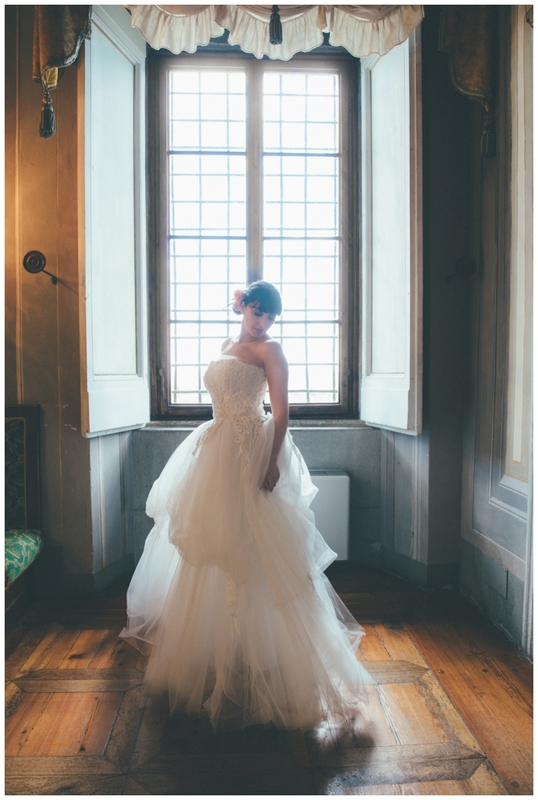 We wanted to create a very romantic look and with the help of Mrs Moradei from Morbar bridal atelier we chose two magnificent handcrafted pieces that fit our model Letizia perfectly. Ombretta and Catarina completed the look with two different hairstyles and make up to suit the various locations we wanted to shoot. A stunning bridal bouquet with soft peach and golden garden roses. Lots of greenery and colorful poppies for the table setting to give just that bit of spark and playfulness, FunkyBird knows how to make flowers speak romance. 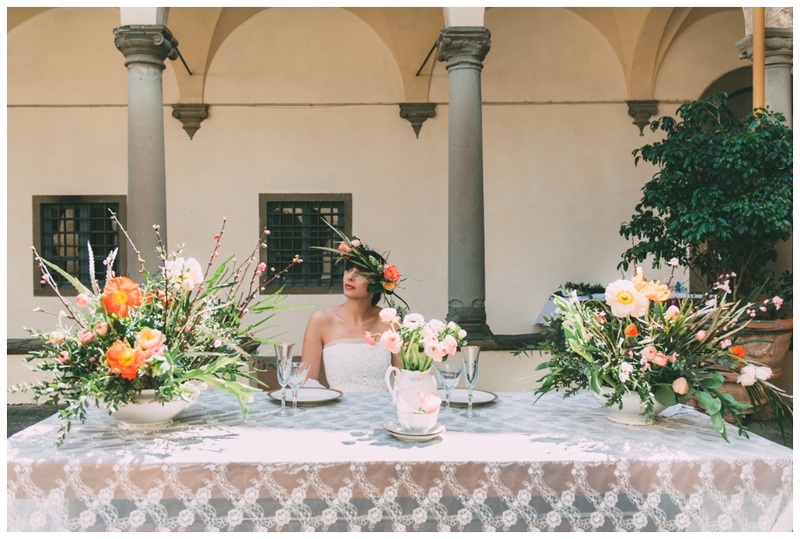 The girls from Trouwen in Toscane have definitely made this a unique experience which we hope to repeat again soon.